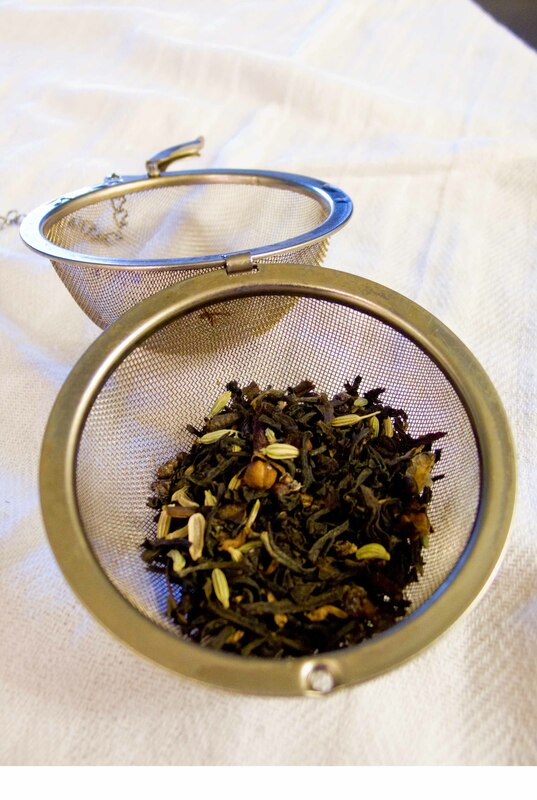 I use the word authenticity lightly, because most of the tea I drank in India was not like the following recipe at all. It was a black tea bag plunked in hot water with milk and sugar to taste, just like most of the tea I’ve slurped down anywhere. But if you were to buy tea off of a train or in a little roadside tea tent, you would get a small plastic cup for fifty cents or so filled with tea that stews constantly all day, thick and sweet and the color of the monsoon mud. It was fabulous. 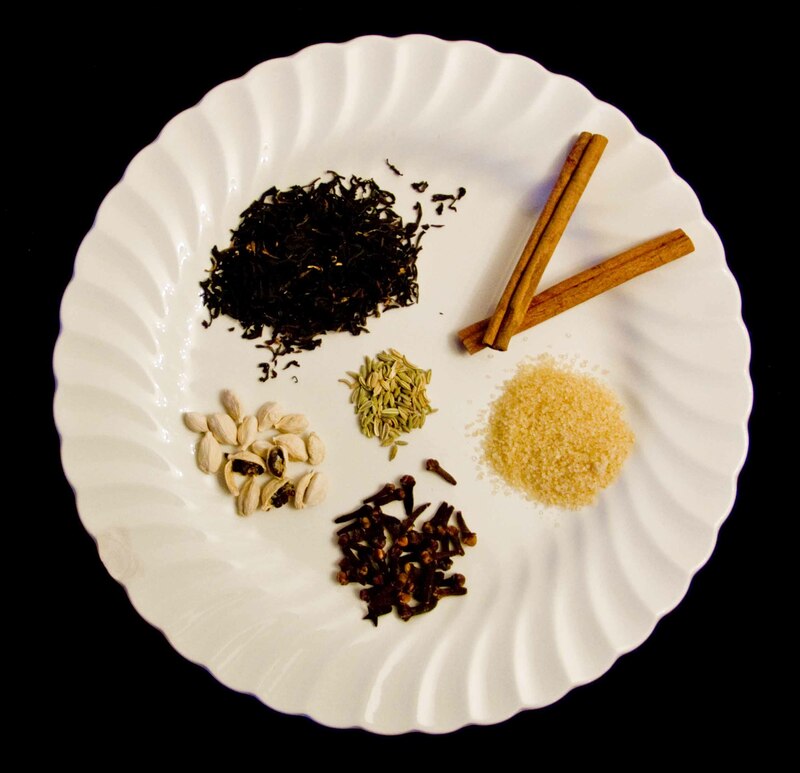 Most of the chai that Americans consume comes in a liquid mix or a powder, and there are actually some great brands out there – Oregon Chai isn’t bad at all. 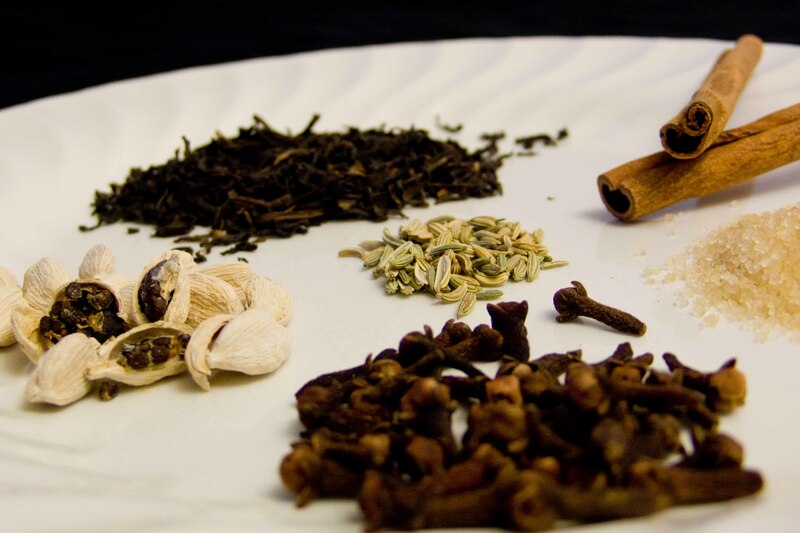 But if you’ve ever been to Taste of India in Seattle, you know where the true chai benchmark lies. Thick and rich, for two dollars, you get a neverending cup of chai, actually against your will – try to block the compulsive refills every five minutes and you may get a little scalded. But I never say no, so that’s not my problem. Mine is the complete inability to get up afterwards without feeling like chai is going to slosh out of my ears. My friends and I got hopelessly addicted during our first years at college, because we were cheap, and because it was near, and because it really is the best chai I’ve ever had. We have gossiped about crushes over it, washed down Indian ice cream with it; I’ve drowned the nervousness of a first blind date with three cups of it, and I’ve burnt my tongue a million times in my haste to jump to the good part of dinner. Apparently, I am not alone. For when I asked if they had a recipe, they already had fifty copies printed up in the kitchen. Now I give it to you, with my tweaks. 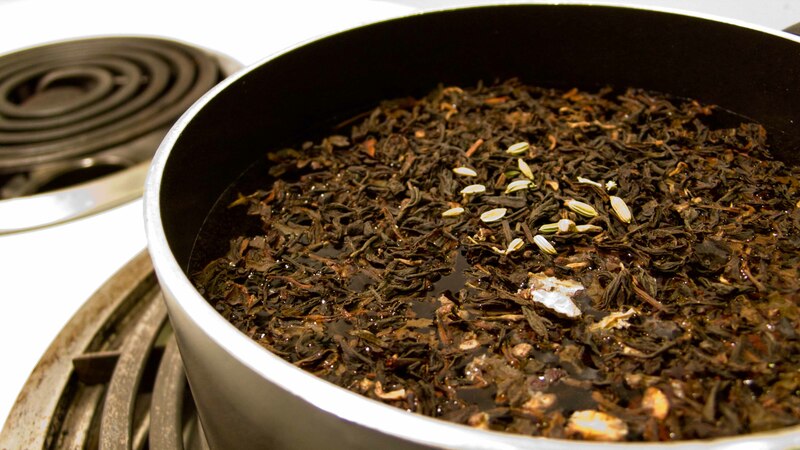 My opinion: I use loose leaf orange pekoe, about two or three hearty pinches, or two or three tablespoons. Orange pekoe is simply a classic black tea, so if you can’t find it in your grocery store, just pick up black tea and relax. I also add in a cinnamon stick, and bust open the cardamom pods so the flavor goes further. Green cardamom would be the cardamom familiar to Americans – it’s just to contrast with the giant black cardamoms you can get in specialty stores. I use the black cardamom in my rajma. But most of the time, I just boil it straight up in the pan and attempt to pour it into the mug through the mesh of that same tea ball later, since I don’t have a nice sieve. If you do have a wire mesh sieve, that’s the best way to go about this whole process. It may just taste better this way, though it's certainly not tidier. Heat uncovered on medium, medium high for 10 minutes, reducing the liquid to approximately 2 1/2 cups. The tea and spices must cook thoroughly before you add the milk, because that’s where the flavor comes from. Nobody likes boring chai. Add 4 cups of milk (they suggest whole, I never have it in the fridge. Reduced fat works juuuust fine. Nonfat is a waste of time, though) and bring to a boil. Add sugar to taste (I use a few heaping spoonfuls of raw sugar), then simmer for 10 minutes and strain before serving. Obviously you can pare this recipe down; I usually only make two cups at a time, because I can never drink just one. Make a whole pot if it happens to be Bollywood night. Decaf chai enables you to drink that pot yourself without then continuing the night in the hospital with heart palpitations. Of course if you are feeling extra lazy, Good Earth Chai is a great bagged version, especially with a dash of the cardamom oil that I got at the Indian store. Enjoy! Does the Iceland mug make it ironic? Perhaps just tastier. The Vikings would have been more dangerous with a cup or two of this in them. Beautiful pictures. 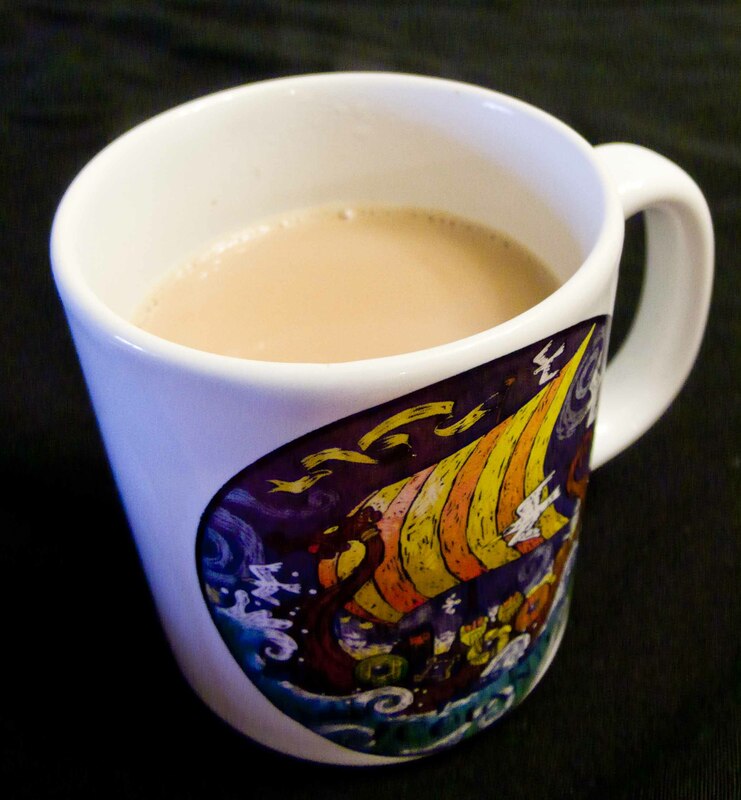 I love Chai! Good blog.